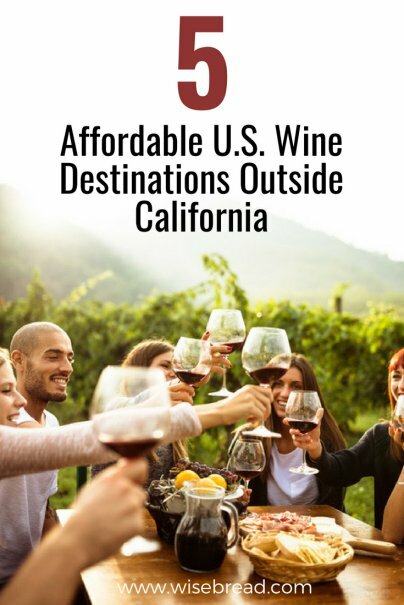 California wine country boasts locally grown grapes of nearly every variety, world class dining, the ideal climate for being outdoors, and spectacular views to enjoy while you sip the day away. Ask anyone who has visited and you'll probably find out exactly what's so unsavory about this gorgeous part of the country — the cost of visiting. Like most of California, wine country charges a premium for hotels, rental condos, and even food and wine. While many would say an authentic experience in Napa or Sonoma County is well worth the splurge, you don't have to go broke planning a wine-themed getaway. Heck, you don't even have to travel to California at all. Before you overpay for a winery weekend in one of the most expensive parts of the country, consider these destinations for wine lovers that may be more affordable. You can always help defray the cost of travel, too, by using travel credit card rewards. 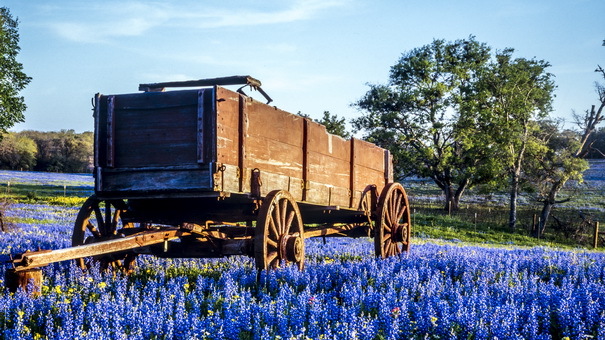 While you may not automatically think of Texas when it comes to fine wines, Texas Hill Country is home to over 50 wineries in cities like Austin, Fredericksburg, Lampasas, and New Braunfels. The area boasts self-guided wine trails you can book if you want to explore on your own. You could also book a stay at a winery or vineyard near an especially affordable hotel for a vacation package you won't forget. In Cedar Park, Texas, which is part of Texas wine country, you'll find Bent Oak Winery, for example. This unique establishment makes its own wine from grapes grown in California wine country as well as West Texas High Country, and even in their own vineyard. It sounds fancy, but the winery offers events like music and movie nights, and cork painting classes, as well as $15 wine tastings each Thursday through Sunday at designated times. Snake River Valley in Idaho sits along the Snake River and the Oregon border, creating a microclimate ideal for growing grapes. Numerous wineries in the area are open to tourists for shopping and sipping, including Williamson Orchards and Vineyards — a fourth generation family-run vineyard that features wines ranging from riesling to cabernet sauvignon. Many Snake Valley wineries offer tastings and other features on-site, including Williamson, which also boasts its own orchard with cherry-picking, as well as tastings at the Boise Farmers Market and the Boise airport. 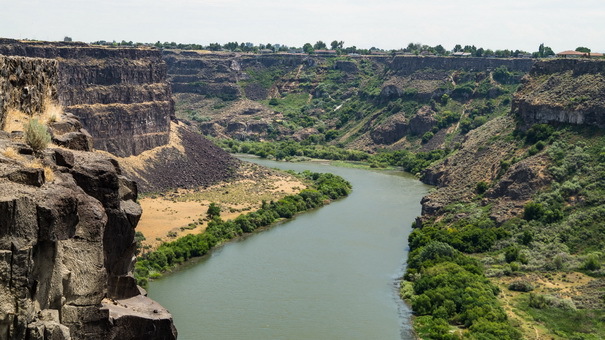 But the best part about Snake River Valley, Idaho is just how affordable it is to visit. In Caldwell, where Williamson is located, and the surrounding area, rooms start well below $100 per night. Pennsylvania is another state you may not associate with winemaking, but they do have a robust wine culture of their own. 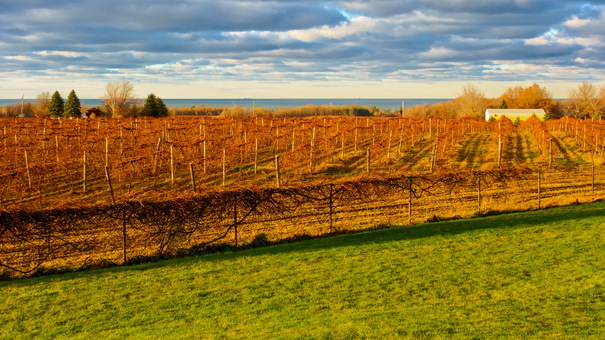 Lake Erie wine country is home to more than 20 wineries growing or sourcing their own grapes to make exquisite wines of nearly every variety. Popular wines made in the region include French-hybrid varietal wines made from Seyval, Vidal, Chambourcin, Chancellor, and Marechal Foch grapes. You'll also find native Labrusca wines made from American grapes such as Concord, Ives, Niagara, Catawba, and Delaware, among other blends. Book a hotel in the area for less than $80 per night, then plan a visit to wineries like Penn Shore Vineyards or Presque Isle Wine Cellars, both in Northeast, Pennsylvania. Both of these wineries, along with most of the others in the area, host wine tastings and events that can help you learn the culture and history of winemaking in the area. 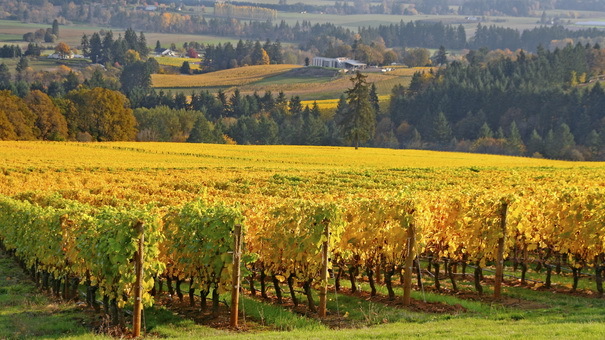 The Willamette Valley of Oregon takes up nearly 3.5 million acres of land between Oregon's Cascade Mountains and the Coast Range. There are an amazing 719 vineyards in this region along with over 500 wineries, and the area is famous for cultivating pinot noir. There are numerous seasonal vacation packages you can book in this region, and for less than you think. Youngberg Hill Winery, for example, offers seated wine tastings for $30 per person, yet overnight inn guests can book for 50 percent off. A stay at the winery inn with a room overlooking the vineyard starts at just $269 per night, which is less than you would pay for most resorts and bed-n-breakfasts of similar caliber in Napa Valley. Expedia.com also shows Willamette Valley hotels starting at around $125 per night. The state of New York boasts plenty of wineries, too. 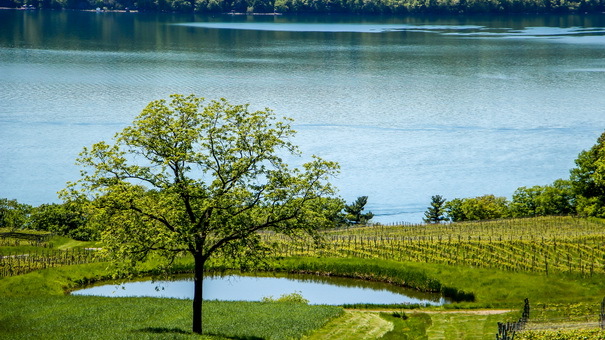 The Finger Lakes district, which sits in the central part of the state, offers a climate perfect for growing grapes, along with lakes (obviously), waterfalls, and plenty of space to spread out and relax. The region is also home to three distinct wine trails — each with its own flair. Each trail is home to wineries that host tastings and special events like wine and food pairings, wine-themed barbecues, and holiday parties. Affordable hotels and motels abound in this region of the country, and many properties offer breakfast, too. Some of their winery inns are even pet-friendly. A Slice of Home Bed & Breakfast, which is located in Spencer, New York, offers quaint and cozy rooms starting at $120 per night. Amber Waves Farm Bed & Breakfast, in Prattsburgh, offers rooms with a full country breakfast starting at just $130 per night.